Planning to relocate or move to the city of Canberra anytime soon? Well, this can be a very transition in your life because you will be staying and living in a place that’s new to you. 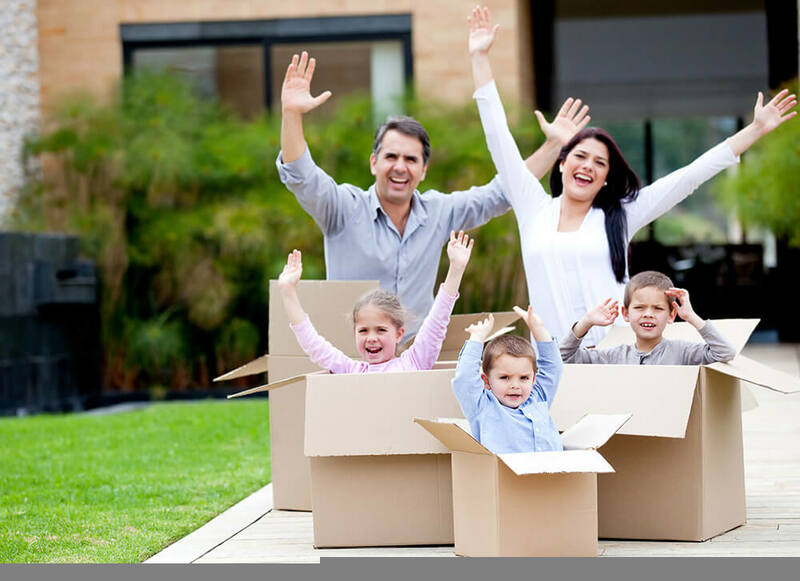 While you might be thinking about what lies ahead and what’s in store for you in Canberra, one of the most important things that you should be focusing right now is the thought of making your moving or relocation plan easy, affordable and convenient. When it comes to endeavors like this, a professional removalist is something that you should look out for in the first place. Australia offers many great places where you can stay for good and one of them is the city of Canberra. However, moving from Sydney to this city can be of much pain on your part especially when it is not only you and your family who will be moving and relocating but all your important things and belongings as well. Driving can definitely eat much of your time especially when you need to return back and forth just to haul all your things and bring them to your new abode. When faced with this kind of situation, what you should be looking out for is the aid of a professional removalist. With the professional services offered, you will surely get in the way to make your transition more convenient because the service provider will take care of everything in your former house that you need to be hauled and transported to your new house in Canberra. There are actually many good reasons why you should opt for the service offered by Interstate Removalist Sydney. First and foremost, the company shoulders the responsibility of packing and transporting all your things to your new destination. As such, you will not have to worry on classifying, packing, hauling, shifting, transporting and unloading your things. With a professional removalist, you can be certain that you and your things will be treated professionally, allowing you to feel secure and in good hands along the way.
. There are times when removalists are not careful when handling things and belongings of their customers. In this regard, it is important to look for a highly qualified and professional provider or removal services in the city to make sure that your things and belongings are handled properly, safely and securely. With our teams of skilled and knowledgeable workers you are assured that every item especially the fragile ones are properly packaged and carried from your point of origin to your new destination. Our teams also make use of quality and reliable packing materials that will give protection even when heavy impacts take place during the shifting, handling and transit.
. Moving appliances and furniture items can be very time-consuming and risky as well. By hiring the service of Removalists Sydney to Canberra, hauling and transporting heavy beds, dressers and other large pieces of furniture becomes easier with the aid of electric lift tail gate features of a removalist truck. It also makes use of modern and state of the art equipment that can help them in lifting and carrying heavy loads like heavy furniture items and appliances.
. A professional removalist is always transparent with all the fees that it collects from its customers. Unlike others, they usually have sneaky and hidden charges which make people frown or open their mouth in surprise the moment they see their bill. We at Removalists Sydney to Canberra give you the chance to clearly see all the things that were involved in your final bill. This means that you will not have to be surprised on certain accounts which you don’t know really existed and used during the transit.
. There are times when a customer needs to meet a particular time or date to be there in his new place. This is really something that you can be certain of when you hire the service of a professional removalist in Sydney. With the combined effort of the members of the team deployed by our company, you can be guaranteed that sorting, packing, shifting, transporting and unloading of all your things and belongings will be done for you on a timely manner. As such, you will not have to worry about delayed and postponed transits which are a common problem among unprofessional removalist companies.
. If you are going to do other important things and you find it hard to allot some of your time doing the sorting, packing and hauling of your things then Removalists Sydney to Canberra can help you do these things on your behalf. This is going to be a big advantage on your part because you can carry out other important things without exerting your effort in preparing things that need to be taken along with you during your transit.
. All your possessions are important to you so it is necessary that they should be taken care of from the start to the end of your transit. This can be taken care of by us by way of proper labeling and the creation of an inventory or list of everything that has been packed and transported along with you. You can check the list from time to time so that you will know when something has been missed or misplaced during the removal process.
. With Removalists Sydney to Canberra we can help you save much. There are people who prefer doing the removal and transportation of things on their own. While this is something possible, we cannot deny the fact that things that are going to be carried are at high risks of getting damaged, destroyed or lost along the way. Moreover, this can eat much of your time, effort, money and resources especially when you need to get back to Sydney many times until you have all your things transported to your new place in Canberra.
. You and your things are properly insured – this is one of the benefits of hiring our company. This makes you feel secure and protected while you are on transit. In short, you have peace of mind because you know you are in good hands and that you are fully insured.
. With the tight competition among many interstate removalists in Sydney during these days, there is a possibility that prices and charges tend to be lowered by the company owners. This is to encourage more customers and make them more noticeable in the process. Well, in these days when budget is a big concern among many people, who will not want to pick a service provider with service fees lower than its competitors? Our company offers affordable fees without compromising the quality of our services. Feel free to choose from our moving service and packages so that you can have something that suits your existing budget best.
. We make sure that very stuff that you need to bring along with you in Canberra is packed with the best kind of packing materials. If you can’t do the packing then you can tell us in advance so that you can be provided with packing services that will help you in the actual packing of your things. You can also choose from our myriad of transportation services, allowing you to come up with a kind of vehicle that’s simply ideal when it comes to transferring or transporting your belongings.
. Our company is proud to say that we have a complete line of transport services to haul and transport different types of vehicles and automobiles. If you have cars, a boat, RV and other types of vehicles then you can easily bring them along with you with the aid of our trucks and trailers.
. Packing and transporting small stuffs is different from transporting heavy and bulky appliances and furniture. With our company’s modern and state of the art equipment and techniques, such things in your house can be easily crated and transported without causing any damage or injury.
. If you think that moving your things still has to wait for a specific period of time then you can simply opt for our storage facility that allows safekeeping of your things and belongings while waiting for their transport. Our facility is highly guarded so you can have the guarantee that they remain safe and secure all the time.
. Every customer is unique and we simply abide with this reality. This means that when a customer asks for a packing service because he has no time to do it then we are more than happy to render such kind of service for you. The same thing is also true when it comes to unpacking your things the moment you arrive to your point of destination in Canberra. Relocating to Canberra should not cause stress on your part. Feel free to call us today and we will be happy to be of service to you. With our 24/7 customer service, you can dimply place a call to our company for your questions and inquiries day in and day out. Thinking About Moving Your Office or Business to Canberra?
. Our office relocation solution is all-inclusive and we are known for our transparency when it comes to charges and fees. Feel free to see the list of fees so that it will be possible for you to prepare your budget.
. Our company will create an inventory of your assets that you can check and access from time to time with the aid of our modern and state of the art technology. With this, you’ll be able to experience computerized warehousing and storing that you can access no matter what time of the day it is. With us, you can easily and conveniently store and transport your important entrepreneurial supplies.
. Relocating to a new place like Canberra can expose you to a tremendous amount of challenges. Taking the time to deal with us in the first place will give you the opportunity to get detailed guidelines that can help you realize an effective starting point for your relocation plan. By working with our teams of experts, you’ll ensure yourself of an efficient and hassle-free move. For us, educating our clients is important to make sure that they comply and abide with the rules when they are already onboard. Some important guidelines that we provide usually include packing information, proper naming or labeling of items that need to be transported and many others. Removalists Sydney to Canberra: Why Choose Us? If you are thinking about realizing a strain-free relocation then you can simply call us and we’ll provide you with your preferred service right away. No matter what type of relocation or moving service that you have on your mind, name it and we’ll make it happen for you. Thus, there is no more need for you to contact another removalist company for a particular service. There times when people tend to be very skeptical when it comes to handling or entrusting valuables to a particular removalist. Well, you can entrust your valuables to us and we offer the safest and most secure way of handling them for your peace of mind. Packing fragile items is done the best way possible and we make sure that theft and damages will never be an issue. intimidating reliable moving and relocation services for years and this has made us experts in all parts of Sydney and Canberra. This means that you can do your relocation in a worry-free and hassle-free way because we know the best and safest routes that will lead you to your point of destination in no time. And no matter where in Sydney you are, call us right now and we’ll get into your place in no time. What is Our Edge Above Other Removalists in Sydney? If you want to realize an effective, affordable and convenient way of relocating or moving your things to city of Canberra, feel free to contact us today!